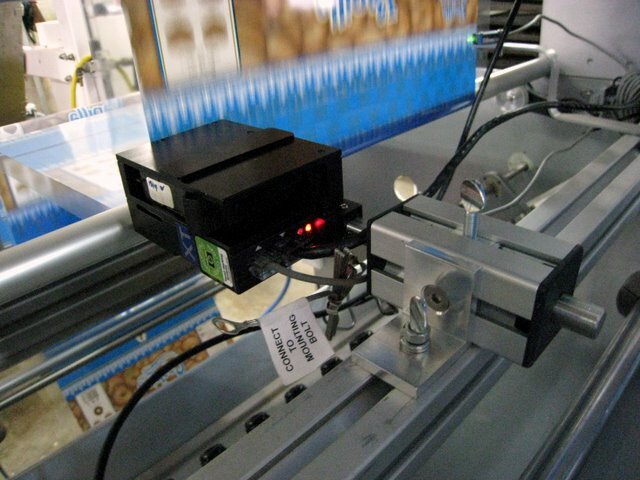 Trend's simple pneumatic stampers use rubber typesets for marking a variety of products. The reciprocating typeholder re-inks each printing movement so the printers even operate automatically. These compact printers can easily be installed in any orientation which makes them simple to install in a variety of intermittent motion packaging equipment or automatic production lines with only some simple mounting bracketry. The Omniprint re-inking stampers can also be used manually with the optional benchstand to mark a variety of products by hand feeding a part and pressing a footswitch. Messages are generated using rubber typesets with an interlocking base which can be inserted into an easily removed typeholder inside the R250 printers. Special characters, logos etc. are all possible. The typeholder automatically re-inks against a Codarc® ink cartridge which can yield up to 250,000 prints. Codarc® cartridges can be re-inked multiple times and do not splash or drip. You do not need any tools to quickly change an ink cartridge.